Day three of the National Prescription Drug Abuse & Heroin Summit in Atlanta, Georgia, began with Kellyanne Conway, Senior Counselor to President Donald Trump, and ended with the 42rd President of the United States, Bill Clinton, showing the true nonpartisan nature of the response to the opioid crisis. Because addiction is affecting every demographic, every state and every constituency of every political party, it has become a nonpartisan issue that Americans can rally around. Setting aside partisanship and working together are keys to battling this country’s opioid crisis, Kellyanne Conway, Senior Counselor to President Trump, told Summit attendees Wednesday morning. “The stigma that leads to silence and shame is still there. Conversation is an elixir,” Conway said, adding the White House’s “Crisis Next Door” campaign, launched last year, puts a public face on the issue by allowing people to share their stories of recovery. Conway said the important components of the President’s comprehensive plan includes increasing awareness, providing greater access to treatment, and disrupting the flow of drugs. “We recognize that (the number of overdose deaths) may get worse before they get better,” Conway acknowledged, but said new policies for prevention, treatment and enforcement would have an impact. 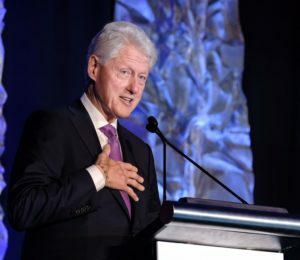 In his address, President Clinton acknowledged that the opioid crisis doesn’t seem to be diminishing quickly enough—a frustration echoed by many stakeholders throughout the conference. In between the two presentations from these national leaders, other government agencies gave briefings on their progress toward combating the crisis through increased funding and resourcing for local communities. As part of the morning presentations, NIH Director Francis Collins announced their HEAL (Helping to End Addiction Long-term) Initiative, an aggressive, trans-agency effort to speed scientific solutions to stem the national opioid public health crisis. To that end, NIH is nearly doubling funding for research on opioid misuse/addiction and pain from approximately $600 million in FY 2016 to $1.1 billion in FY 2018, thanks to a funding boost by Congress. Dr. Nora Volkow, Director of the National Institute on Drug Abuse, emphasized the role of education and prevention, as it “is probably one of the best and easiest” ways to prevent opioid use disorders, providing adequate pain management, and prevent relapse. She emphasized overdose statistics that underscore the scope of the opioid overdose crisis: of those who end up in ER due to overdose, 10% will end up dead in a year; half of people on MAT will relapse, and when they do, the risk for overdose is incredibly high. In the afternoon presentations, Elinore F. McCance-Katz, Assistant Secretary, Substance Abuse and Mental Health Services Administration (SAMHSA) announced that she plans to reinstate the Drug Abuse Warning Network that allows surveillance of emergency departments across the country to better target and help communities. Anne Schuchat, MD, (RADM, USPHS), Principal Deputy Director, Centers for Disease Control and Prevention (CDC) stressed CDC’s effort to continue improvements for prescribing guidelines and PDMP’s in every state. Despite progress and declining opioid prescribing rates, the US still prescribes opioids at three times the rate in Europe. Scott Gottlieb, MD, Commissioner, Food and Drug Administration (FDA) and Anne Hazlett, Assistant to the Secretary for Rural Development, U.S. Department of Agriculture (USDA) also presented. 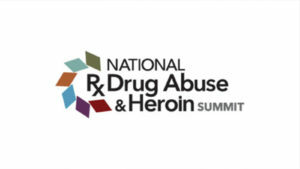 The 2019 National Rx Drug Abuse & Heroin Summit is April 25-29, 2019. Rx Summit Day Two: We need to remain vigilant and impatient.